Robust Lexium MDrive products integrate 1.8° 2-phase stepper motors with onboard drive electronics, a controller with up to 8 I/O. Feedback options include open loop, or closed loop with a 1000 line (4000 counts/rev) incremental or multi-turn absolute encoder. Both encoder options feature hMT closed loop performance. 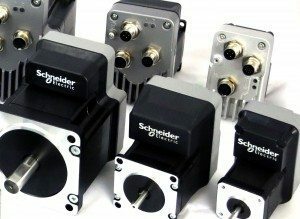 This high degree of integration can reduce machine complexity, size and cost in many stepper and servo motor applications. 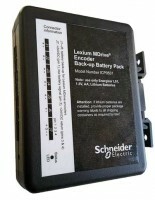 Lexium MDrive delivers exceptional performance and smoothness with advanced current control. 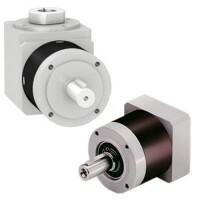 Ideal for machine builders who want an optimized motor with on-board electronics, Lexium MDrive products are well suited for industrial applications. USB-pluggable converters set/program communication parameters in 32- or 64-bit. Pre-wired DB9 mating cable included. USB to CANopen pluggable converters set/program communication parameters in 32- or 64-bit. Pre-wired DB9 mating cable and terminating resistor block included. Kit includes one 2-pin power mate, and one set (2 pieces) 7-pin multi-function mates for Lexium MDrive IP20 Pulse/direction models. Kit includes one 2-pin power mate, and one set (2 pieces) 7-pin multi-function mates for Lexium MDrive Motion Control, Ethernet TCP/IP and CANopen models. USB to CANopen pluggable converters set/program communication parameters in 32- or 64-bit. Includes converter, cable& terminating resistor plug. Connect multiple CAN units together in sequence with this Y cable. A termination plug, such as PLG-M12TP, is required at end of run. The MD-CS620-000 is a 4-position, B-coded M12 female with flying leads cable used to interface DC power to Lexium MDrive products. Pre-wired shielded cables with straight M12 connector end for interfacing DC power. 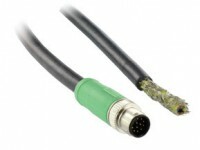 10′ (3 m) M12 to flying leads cable.